In this week’s episode of Blauw Bloed host Jereon Snel has an exclusive interview with Princess Anita of Orange-Nassau. Plus, all the latest royal news from this past week. Click the video icon below where it says Exclusief Interview Prinses Anita. Or, click here for the Beta version. 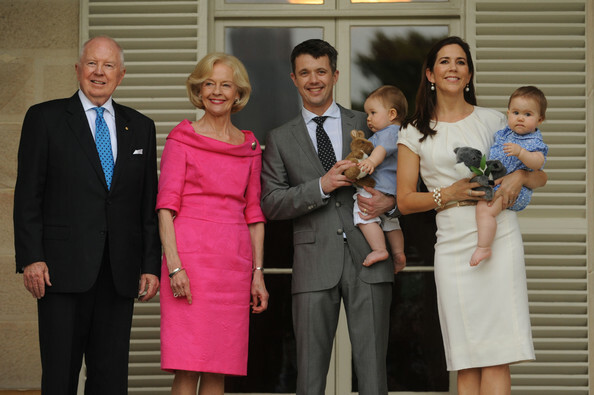 On November 20, 2011, T.R.H.s Crown Prince Frederik and Crown Princess Mary continued their official visit to Sydney, Australia. After visiting the famous Sculpture by the Sea exhibition and a stop by the Curating Cities: Sydney-Copenhagen exhibition project held at the Customs Houses, it was time for a good old fashion Aussie BBQ. Later in the afternoon, Crown Prince Frederik and Crown Princess Mary participated in a meeting with the Australian Governor-General at Admiralty House. Every kilometre completed, either by running or walking, means 1 euro donated to the nominated charities which include the Cardio-Thorasic Centre in Monaco, Fight AIDS Monaco, Hospital Cheick Zaied in Mauritius and the construction of a new school in Segou in Mali. This year’s winner of the No Finish Line charity race went to Mr. William Siechel of Scotland.